Heart pillow beads - these are addictive! 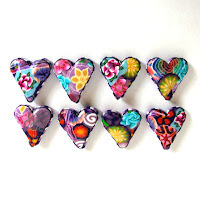 I've been sitting this past week and making these enjoying heart pillow beads, they are such fun to make! Now it's time to get all things back in place, my table is such a mess! If you like these, they are on ebay this week! Synergy 2008 - I'm coming! Long flight from Israel but i can't wait to see you all there! 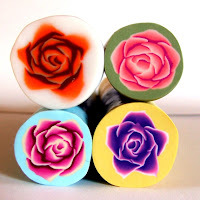 Kira Slye and Ilysa Bierer of Polymer Clay Productions/Polymer Clay TV have just released an hour-long podcast with interviews of Synergy presenters Maureen Carlson, Maggie Maggio, SL Savarick, and Sarah Shriver. Hermann Mejia is a Venezuelan illustrator, living in New York City, whose caricature-driven work frequently appears in Magazines, Stamps, Newspapers etc. i didn't find any word about his materials but i guess this could be some kind of clay. Stonehouse Studio feature fancy jewelry from polymer clay along with made from natural, unfaceted gemstones and sterling silver. Marina Bychkova from http://www.enchanteddoll.com/ makes (according to her) distant, far-away sadness dolls that recall childhood fairy-tales, and a dark, brooding sexuality. These are definitely not kid's toys, but stunning works of art. Linda S. Wingerter grew up in a family of artists: her great grandfather painted church murals in Russia, her grandfather was a puppeteer, her grandmother was a miniaturist, her father was a graphic artist, and her mother is a book designer. She became a published artist at 13 when Cricket Magazine printed her drawing of a paper dragon in their letter pages. Linda enjoys renovating her 90 year old house, making dolls, figure skating, and playing the fiddle and musical saw. 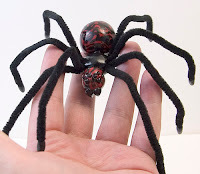 She uses painted sculpy for the dolls head, the rest is: lace, muslin, ribbon, metal moulding, wire, DMC thread, dowels, and costume jewelry. Gilad Schalit - On Sunday, 06/25/2006, at 05:40 in the morning, a terrorist group of several Palestinians crossed the border south of the Gaza Strip into Israel through a tunnel and attacked an army facility that was within the sovereign territory of Israel. Gilad was Taken. Udi Goldwasser & Eldad Regev - On Sunday, 06/18/2006, Udi and Eldad were called up for reserve service on the northern border. They were meant to serve 28 days. The service was to include security patrols along the border and other security tasks for the defense of Israel's northern settlements. They were suddenly attacked by a group of Hezbollah terrorists and were taken. The Israeli Polymer Clay community decided on a project to be called: ר.ג.ש"/Regesh (Feeling) which stands for the initials of the three last names of the Israeli soldiers kidnapped: Eldad Regev, Udi Goldwasser, Gilad Shalit. Regesh (Feeling) is a volunteer project of artists from the "Polymer Clay Art Forum" that care about the safety and well being of the kidnapped soldiers. The Forum wishes to support the soldiers' families and let them know they are not alone in the struggle to return their sons home. All proceeds from the sale of our key chains go to assist and support the families of the kidnapped soldiers in their struggle to free their sons. 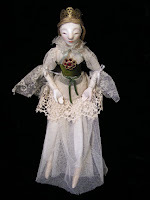 Flo Hanover works with cernit and make beautiful dolls, she is such an artistic person - an artist, teacher, weaver, wife and gardener, doll designer, sculptor, costumer, wig maker and more. she sculpt each original doll from polymer clay by hand. 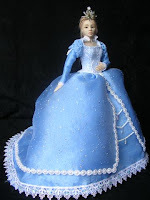 dolls, They are made from Paperclay, Sculpey and other materials. 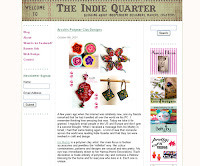 Have you heard about CraftCast blog? Craftcast with Alison Lee? I can't say i know much about politics in the US (i am hardly involved in politics in israel) but this site made me wonder - democrates? donkeys? can some one tell me why? Dawn makes Seidh, pronounced seed, these are a Tribe of Little Folk that inhabit the Forest. These tiny Fae remove ripe seeds from pods, and scatter them so there will be a plenty of trees and pods in coming Seasons. After their work is done, the Seidh then take up residence in the empty pods, curled up snug and sound for Winter. Joyce Geleynse babies are so cute, they are born in her studio and lie bundled up in a cloth blanket. her creations are presented in the Canadian artists and art resource directory. Visual arts from a Canadian perspective - Artists In Canada site. COBRA ORIGINALS ~ Canine Breed ArtDogs sculpturings, the artist work with polymer clay, resin and other materials. Jackie C. Schneider is a Parkinson's patient and along with her friends create wonderful art.She works with polymer clay and specialize on faces sculpturing. Now that all the jewish holidays ended, it's time to go back to work, i just got a 'big size' order of rose canes from one of my clients in Italy, i sat down and made some new rose canes, this time a little 3D designed canes following an hebrew tutorial of one of my forum friends. they turned out so lovely (photo doesn't reflect, mmm, sorry) so i made more of my heart pillow beads soon to be on sale. You are welcome to see those and the purple heart pillow beads for sale in ebay this week.